What Should You Do With Your Tax Refund This Year? This year, many Americans will get a tax refund. Some will use it to pay their property taxes. Some will use it to pay for a vacation. Others will use it as a means to invest for their future. Who’s doing the right thing? The answer is it depends. For those of you who have been diligently saving into your 401(k) and mutual fund investments throughout the year, rewarding yourself with a vacation isn’t such a bad thing, especially if you know that you’re on track towards reaching your financial goals. However, for those of you who haven’t been able to save throughout the year, I would suggest that you consider investing this year’s tax refund to get your financial future on the right track. Consider this. If you are 25 years old today, were to invest $4000 each year for the next 10 years, and average an 8% return on your investment, you would have the same amount of money (in this case, approximately $630,000) at age 65 compared to waiting 10 years, investing $5150 for 30 years, and averaging that same 8% return*. That’s a difference of $114,500 out of your pocket over time for simply waiting 10 years! To learn more about the cost of waiting, view a video here: http://bit.ly/1MTM8MG. Does this mean that you should invest your tax refund for the future? While it may be a good idea, it may not be the right thing for you given your current financial situation. For example, if you don’t have a properly funded emergency fund, perhaps now is the time for you to increase your emergency savings. (To learn more about emergency savings, view an article here: http://bit.ly/1RtTD3P). Will you need to buy a new car within the next year? Depending on how much that car will cost and how much you have in savings, maybe the right decision for you is to direct some of your refund towards the new car so that you could have a lower monthly car payment, or maybe no payment at all! 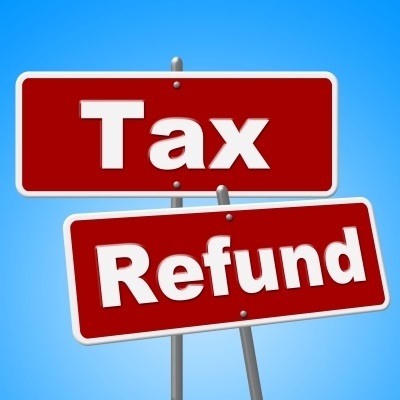 One additional topic to consider is that a refund represents money which the government has been holding onto, but has given you zero interest on for the entire year. Perhaps you’ll want to consult with your tax advisor to determine if changing your withholdings is appropriate so that you’ll have the extra money on hand throughout the year and can make that money work harder for you. So back to the original question, what should you do with your tax refund this year? Contact me for an answer specific to your situation! *All rates of return are hypothetical and not indicative of a specific investment.